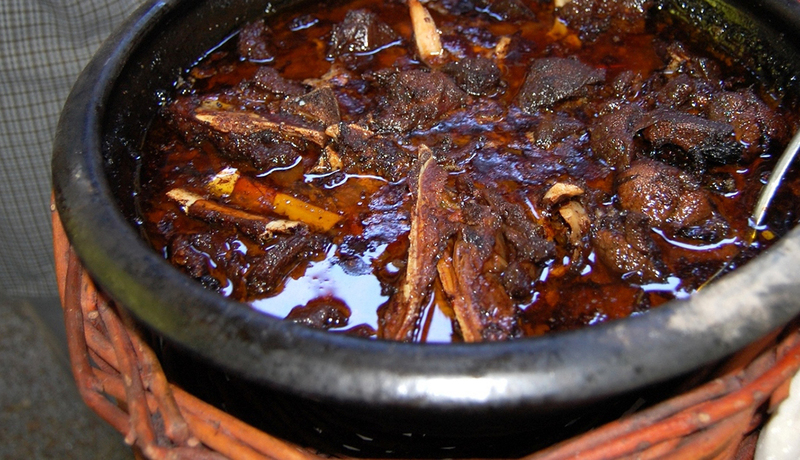 Chanfana de Borrego, or Lamb Stew, is a variation of one of the most signature dishes in Portuguese traditional cuisine. Chanfana is a meat stew made with lamb (or goat) combining flavorful ingredients like bacon, mint, garlic, and piri-piri in a tasteful dish that has a slightly spicy kick. Originating in Beira Litoral, the central region of Portugal, Chanfana became popular during the resistance to the Napoleonic Invasions in the 19th century. Some historians place its origins back into pre-Roman times when Viriato and the Lusitano tribes, that were mostly shepherds, fought back Cesar’s Legions. This stew is traditionally slowly cooked in a medium sized clay pot, but a metal cooking pan may be used as well. It is frequently served with boiled potatoes on the side. If you want to refine the flavors, this dish tastes even better reheated to be enjoyed the next day! 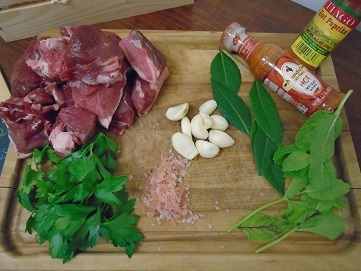 1) Combine the lamb, garlic, bay leaves, parsley, mint, paprika, salt and piri-piri in a large bowl. Pour in enough wine to cover the contents completely, cover it and refrigerate for 7-8 hours. 2) Preheat the oven to 350 degrees F. Remove the bowl from the refrigerator and return it to room temperature. 3) In a large frying pan, heat the olive oil and bacon over medium heat and cook until the bacon separates and is partially cooked. 4) Add the onions and cook until they are almost golden, for about 6-8 minutes while stirring constantly. 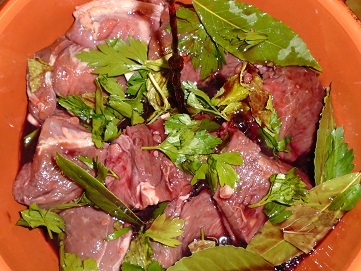 5) Once done, stir in the meat mixture, cover and transfer to the clay pot and place in the oven to cook for 1.5 hours. 6) After that uncover it and stir in the tomato paste and let it cook until meat is very tender, about 40 to 45 minutes longer. 7) Once done remove the clay pot from the oven and let the stew cool for about 15 minutes before serving.